These Terms and Conditions apply to the purchase of any products from ORIGIN PC Corporation or any of its subsidiaries. By placing an order, you agree to be bound by the following terms and conditions. Any attempt to change or supplement this document will be null and void, unless otherwise agreed to in a written agreement by both you and ORIGIN PC. The terms and conditions are subject to change without prior written notice at any time at ORIGIN PC's sole discretion. The section headings below are for reference only. If any term is found to be unenforceable, the remaining terms shall not be affected. "ORIGIN", "ORIGINPC", "we", "us" and/or "our" mean: ORIGIN PC Corporation. "You" or "your" mean: the individual or organization on the invoice. Advertised prices are in U.S. dollars and unless otherwise noted, exclude shipping, handling and any taxes that may be imposed where you reside. Terms of payment are within ORIGIN PC's sole discretion, and unless otherwise agreed to in writing by ORIGIN PC, payment must be received by ORIGIN PC before ORIGIN PC's acceptance of an order. ORIGIN PC may invoice parts of an order separately. ORIGIN PC is not responsible for pricing, typographical or other errors in any offer by ORIGIN PC and we reserve the unilateral right to cancel any orders resulting from such errors. Loss or damage that occurs during shipping by a carrier used by ORIGIN PC is ORIGIN PC's responsibility. Loss or damage that occurs during shipping by a carrier used by you is your responsibility. You must notify ORIGIN PC of damaged or missing items from your order within five (5) business days after you receive your product. Shipping dates are estimates. You may cancel your purchase at any time before shipment, however, due to the custom nature of ORIGIN PC paint services, cancellations made after five (5) calendar days from date of purchase will be subject to fees equal to the price of any paint, logo or artwork services. ORIGIN PC provides you with a wide array of coverage and support for your purchase. Please see below for details of ORIGIN PC warranty agreement. You may return ORIGIN PC products purchased from ORIGIN PC in accordance with ORIGIN PC's Return Policy, see below. Please keep in mind that you must contact us directly before you attempt to return the product and must return the product to us in its original packaging. ORIGIN PC does not accept liability beyond the remedies set forth herein, including any liability for products not being available for use, for corrupted or lost data/software. ORIGIN PC will not be liable for lost profits, loss of business or other special, indirect or punitive damages, even if informed of the possibility of such damages, or for any claim by a third party. You agree that for any liability related to the purchase of products or services, ORIGIN PC is not responsible for any amount of damages above the original dollar amount you paid for the purchase. All software provided is subject to the license agreement that is part of the package you receive from ORIGIN PC. You agree to be bound by the license agreement once the package is opened or its seal is broken. Title to software remains with the licensor of the software. ORIGIN PC does not warrant any software. ORIGIN PC continually upgrades and revises its offerings. ORIGIN PC may revise and discontinue products at any time without prior notice to customers. 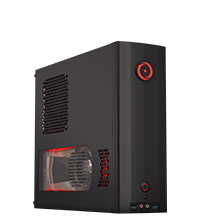 ORIGIN PC will ship products that have equal or better functionality and performance of the products ordered, but changes between what is shipped and what is described in a specification sheet are possible. The parts and assemblies used in building ORIGIN PC products are selected from new parts. Spare parts may be new or like-new. Customer acknowledges that the art provided to Origin PC Corporation for application to their custom order was created by the customer, and is still the owner of all copyrights in it and no part of it is derivative on the copyrighted works of another, or they have the legal right to reproduce the art provided because the customer owns the copyright to it, or because the customer has a valid license to reproduce it from a legal copyright owner of it. You agree that you are buying ORIGIN PC products for your own use and not for resale. This restriction does not apply if you are a reseller who has met ORIGIN PC’s requirements for resale and have provided all written documentation before time of purchase. This Agreement and any sales hereunder shall be governed by the laws of the state of Florida. You will not register or use any Internet domain name that contains an ORIGIN PC trademark or trade name in whole or part or any other name that is confusingly similar. ORIGIN PC offers a 30-day money back guarantee on all hardware, accessories, peripherals and unopened software still in its original sealed packaging. All custom paint, logo or artwork services are not refundable. International taxes/duties, shipping and handling fees are not refundable. A fifteen percent (15%) restocking fee will be deducted from your refund. To return merchandise, you must obtain a Return Materials Authorization number. Please contact the Origin PC service team and provide them with the invoice number and serial number(s) of the merchandise you wish to return. You must ship the merchandise within five (5) business days of receiving your RMA number. Moreover, you must also return the merchandise to Origin PC in its/their original packaging, in as-new condition along with any media, documentation, and all other items that were included in the original shipment, prepay shipping charges, and insure the shipment or accept the risk of loss or damage during shipment. The refund will be processed within five (5) business days after shipment has been received and inspected by ORIGIN PC. International customers are solely responsible for all shipping costs, as well as duties and/or taxes that may be incurred from the international transit. For any return policy questions, please contact your customer service team at [email protected] or (877) 674-4460. ORIGIN PC warrants to the original purchaser that any ORIGIN PC hardware will be free of defects in workmanship and materials for the applicable period set forth in your packing slip or invoice, which is measured from the date of delivery. ORIGIN PC further warrants to the original purchaser that any paint job and artwork will be free from peeling, bubbling and significant discoloration for the applicable warranty period, which is measured from the date of delivery. The following sections detail the terms of the ORIGIN PC Parts Warranty. All ORIGIN PC systems come with Lifetime Phone and Online Support as well as Lifetime Labor Service. These services apply to the life of the original purchase. Many ORIGIN PC notebooks come with a 45-day or 90-day "No Dead Pixel Guarantee" as part of the warranty. 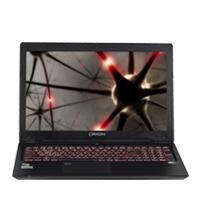 These ORIGIN PC notebooks can be returned for repair or replacement with no parts or labor costs to the customer if they contain any pixel defects. Outside of this, all ORIGIN PC notebooks and All-in-One PCs follow our standard pixel policy during their warranty period. Details can be found below. Important, ORIGIN PC makes no representations about the performance and safety of its products when using cables or power supplies not obtained through ORIGIN PC. Also, you should never charge your notebook while resting on any fabric, chair, bedding, etc. due to the possibility of overheating the battery. This may cause extreme heat and risk of fire. ORIGIN PC products also come with the option for either a one (1) year, two (2) year or three (3) year Parts warranty, except that: (a) all batteries on mobile systems are warranted for one (1) year; and (b) painted cases and artwork are warranted for six (6) months. Please review your invoice to determine which warranty you purchased. All non-ORIGIN PC branded accessories such as: monitors, speakers, mice, keyboards, etc., which are provided as is under original manufacturer's warranty. All software, including the operating system and any software added at the customer's request. Damage caused by actions that are beyond ORIGIN PC's control, such as: lack of maintenance, impacts, liquids, fire, rain, lightning or other disasters such as: nuclear war, zombie apocalypse, epidemic, alien occupation, or armed insurrection. Product that has been damaged through misuse, abuse or mishandling. Unauthorized modification of the system as a whole or individual component and/or the attachment of peripheral devices. Product for which ORIGIN PC has not received full payment. Any product or parts not originally purchased from ORIGIN PC. If an issue arises during your warranty period, ORIGIN PC technicians will first attempt to diagnose and resolve the problem. If we determine that the problem is with a defective component covered by your warranty, we will then either: send you a replacement part or have you return your product back to our facilities for repair. Replacement Part: An order for the part will be placed by the ORIGIN PC technician. A valid credit card number will be required at the time of shipment. You will not be charged for the replacement part as long as the original part is returned to us within five (5) business days after you receive the replacement part. ORIGIN PC will charge to your credit card the current standard price for that part if the original part is not returned within that time period. Replacement parts will be new or serviceably used, comparable or better in function and performance to the original part, and warranted for thirty (30) calendar days or the remainder of the warranty period, whichever is longer. ORIGIN PC will pay shipping expenses both ways only if covered by purchased warranty and you use an address within the Continental United States. Otherwise, you are responsible for the cost of shipping. Any additional purchases or upgrades will not extend this product warranty. Return for Repair: ORIGIN PC will issue you a Return Material Authorization Number (RMA) before your product is to be returned for repair. ORIGIN PC will then send you a shipping label for shipping your product to our facilities. You must, however, return the product to us in its original or equivalent packaging. ORIGIN PC can provide additional packaging material for you at cost plus shipping fees. ORIGIN PC will return the repaired product to you. ORIGIN PC will pay shipping expenses both ways only if covered by purchased warranty and you use an address within the Continental United States. Otherwise, you are responsible for shipping the product to ORIGIN PC and we will ship the product back to you at your cost. The ORIGIN PC technicians will provide you all your options and details at the time of service. Please make sure to back up the data on data drive(s) and any other storage device(s) in the product(s) before you ship product to us or before you replace a part. Remove any confidential or personal information and removable media such as CDs or DVDs. ORIGIN PC is not responsible for any of your confidential or personal information; lost or corrupted data; or damaged or lost removable media. If it is determined that the issue with the product is not covered by the warranty or if there was no issue found, ORIGIN PC will inform you of alternative solutions that may be available to you. Customers will be responsible for return shipment if there was no issue found. Also, please note that any returned product that is deemed to be a biological hazard will be returned to sender. No service will be performed. The warranty also applies to ORIGIN PC products shipped to any location outside of the Continental United States, provided that you are responsible for paying all freight charges incurred in shipping, importing/exporting, receiving replacement parts and for arranging and paying for the shipment of any defective part(s) back to ORIGIN PC. All international customers are responsible for all customs duties, VAT and other associated taxes and charges. For any service or warranty questions, please contact your technical support team at [email protected] or (877) 674-4460. THIS WARRANTY GIVES YOU SPECIFIC LEGAL RIGHTS, AND YOU MAY ALSO HAVE OTHER RIGHTS THAT VARY FROM JURISDICTION TO JURISDICTION. ORIGIN PC'S RESPONSIBILITY FOR DEFECTS IN ORIGIN PC HARDWARE IS LIMITED TO REPAIR OR REPLACEMENT AS SET FORTH IN THE ORIGIN PC WARRANTY. ALL EXPRESS AND IMPLIED WARRANTIES FOR THE PRODUCT, INCLUDING BUT NOT LIMITED TO ANY IMPLIED WARRANTIES AND CONDITIONS OF MERCHANTABILITY AND FITNESS FOR A PARTICULAR PURPOSE, ARE LIMITED IN TIME TO THE TERM OF THE WARRANTY PERIOD REFLECTED ON YOUR PACKING SLIP OR INVOICE. NO WARRANTIES, WHETHER EXPRESS OR IMPLIED, WILL APPLY AFTER THE WARRANTY PERIOD HAS EXPIRED. MOREOVER, THE MAXIMUM LIABILITY ORIGIN PC CAN OWE YOU, OR YOU CAN OWE ORIGIN PC, UNDER THIS AGREEMENT IS LIMITED TO THE PURCHASE PRICE YOU PAID FOR PRODUCTS OR SERVICES AS ALLOWED UNDER THE APPLICABLE LAW. ORIGIN PC WILL NOT BE LIABLE TO YOU, NOR WILL YOU BE LIABLE TO ORIGIN PC, FOR PROPERTY DAMAGE, PERSONAL INJURY, LOSS OF USE, INTERRUPTION OF BUSINESS, "DOWN TIME", PURCHASER'S TIME, LOSS OF USE OF RELATED EQUIPMENT, LOST PROFITS, LOST DATA OR OTHER CONSEQUENTIAL, INCIDENTAL, PUNITIVE OR SPECIAL DAMAGES, HOWEVER CAUSED. ORIGIN PC EVOLVE System Upgrade Service states that the original purchaser will be able to return internal components of their ORIGIN PC for credit towards the purchase of new ORIGIN PC product. This agreement is available in a two (2) year or three (3) year format from time of original purchase. You must have purchased this option at the time of the original purchase. To determine if you are eligible for this service, please review your invoice. Any additional purchases or upgrades will not extend this warranty. The following sections detail the terms of the ORIGIN PC Evolve System Upgrade Service. Any components not listed above. Any software, including the operating system. Any physically damaged or nonfunctional components. During your EVOLVE Service period, you will be able to contact the ORIGIN PC team and request a quote for the current market value of any eligible component. The quote will be provided to you in writing for your approval. You will have five (5) business days to approve the quote. You will be responsible for all packaging and shipping to and from ORIGIN PC. Shipping to and from ORIGIN PC service facilities is not covered under the EVOLVE service. ORIGIN PC will inspect and verify your component once it arrives at our facilities. The agreed upon credit amount will then be issued to your account and you will receive a receipt in writing confirming the credited amount. You will have three (3) months to use the credit from date of issue, after which time ORIGIN PC will reserve the right to void the credit. ORIGIN PC will determine current market value of components with a combination of data from manufacturers, suppliers and online sales sites. Final value of credit will be at ORIGIN PCs sole discretion. Please make sure to back up the data on the hard drive(s) and any other storage device(s) in the product(s) before you ship product to us or before you replace a part. Remove any confidential or personal information and removable media such as CDs or DVDs. We are not responsible for any of your confidential or personal information; lost or corrupted data; or damaged or lost removable media. Due to the nature of the manufacturing process, occasional defects can occur from the manufacturer. Pixel defects or failures cannot be fixed or repaired and can happen at any stage of a product’s life. Based on the acceptable visible defective pixels in your ORIGIN PC notebook or All-in-One, the part will be determined as defective and replaceable upon request, if within the warranty period. Short for picture element, a pixel is a single point in a graphic image. ORIGIN PC laptops and All-in-One PCs display pictures by dividing the display screen into millions of pixels, arranged in rows and columns. The pixels are placed close together so that they appear connected. A full pixel is a combination of one red, one green, and one blue sub-pixel. A pixel defect is a bright white dot or very noticeable black dot on the display. Bright dot sub-pixel defects are permanently "on", displaying a colored red, green, or blue spot on the display at all times. Dark dot sub-pixel defects are permanently "off", displaying a black dot on the display at all times. How long does this policy apply? The ORIGIN PC Pixel Policy is in effect during the system’s one (1) year, two (2) year or three (3) year Parts warranty. Please review your invoice to determine which warranty you purchased. What is acceptable in this policy?